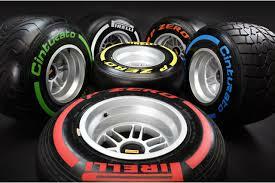 Milan, September 17, 2013 – The tyre nominations for the forthcoming grands prix in Korea, Japan and India have been announced. For Korea, the medium and supersoft tyres will be used. The surface tends to be slippery, with a wide variety of corners and some heavy braking areas. The medium tyre copes well with the wide-ranging demands of the circuit, while the supersoft is capable of generating the highest possible levels of traction on the slippery surface. At the Suzuka circuit in Japan, one of the most popular and historic tracks on the whole calendar, the P Zero Orange hard and P Zero White medium tyres have been chosen. These are designed to soak up the high-energy demands of rapid corners such as 130R and Spoon, which characterise the famous Japanese circuit. In India, which was new to the Formula One schedule in 2011, the P Zero White medium and P Zero Yellow soft tyres are nominated. This combination has been selected to provide the best possible compromise between performance and durability at the Buddh International circuit, which is well-known for its big elevation changes and technically demanding corners.